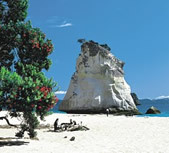 The Coromandel is within hours drive of the major centres of Auckland and Hamilton and their International Airports. 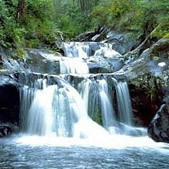 Along with its natural beauty - misty rainforests and pristine beaches - it's historical past is rich and colourful. The Coromandel is a walker's paradise with many coastal walkways and inland bush walks ranging from several hours to several days. Choose from the numerous water activities available - fishing, sailing, kayaking, snorkelling or swimming.